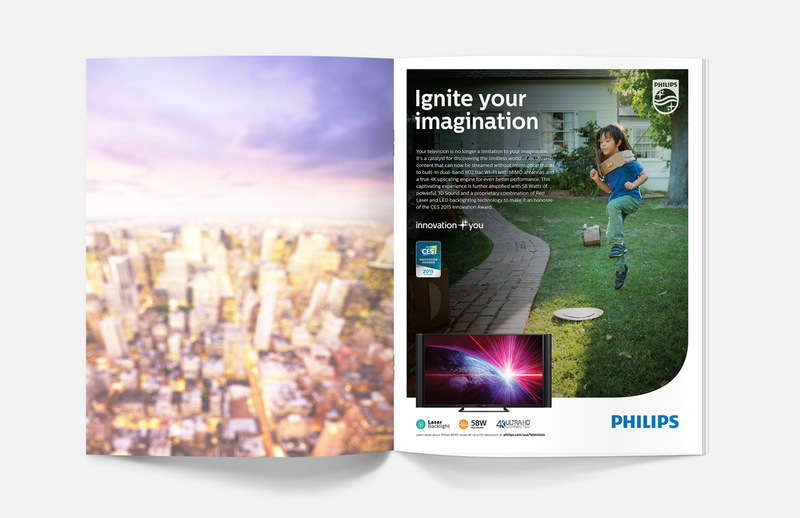 Philips was founded in 1891 by father and son team Frederik and Gerard Philips. It was in a modest, empty factory building in the Netherlands where the company started the production of carbon-filament lamps and other electro-technical products in 1892. This original factory has since been restored and repurposed as a museum for the global company. 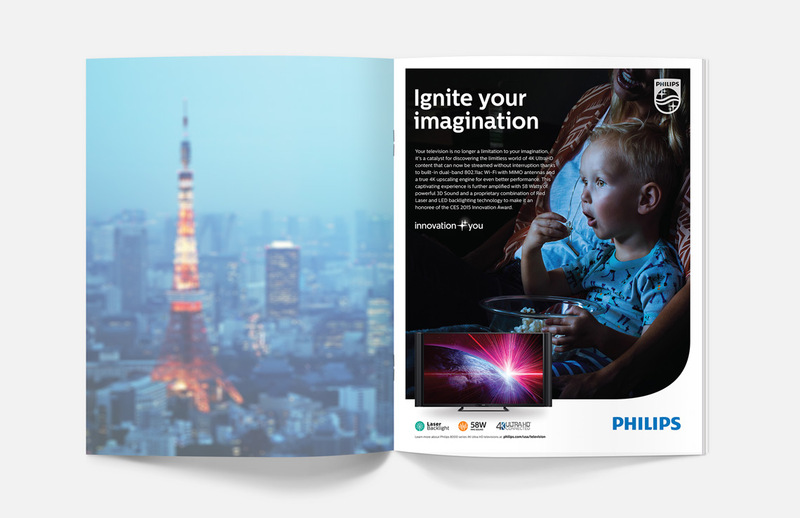 It was upon this enduring concept that we created a new campaign entitled “Ignite Your Imagination” for the purpose of debuting their new television collection in the US. 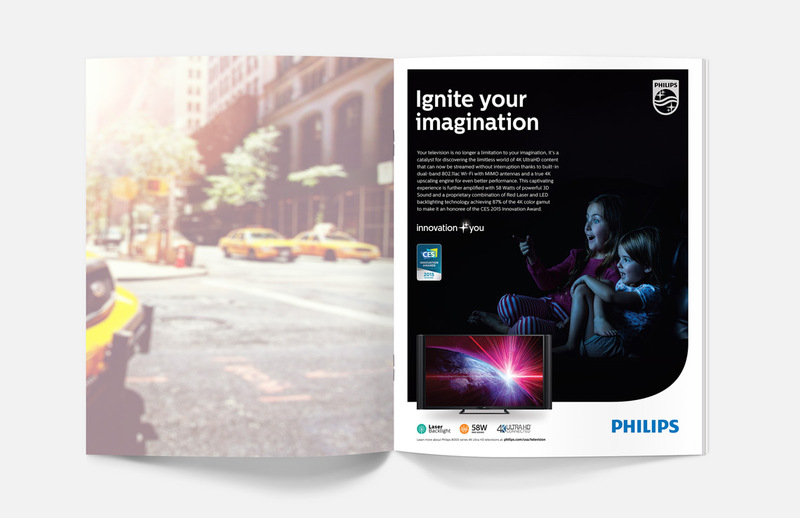 In partnership with licensee P&F USA and digital agency 85SIXTY, we worked closely with the client to determine the values that mattered most to them while thoughtfully developing a new campaign that was in harmony with the company’s powerful messaging. After finalizing the Ignite Your Imagination headline message, we focused on capturing a series of powerful yet realistic images that evoked the mood of how children unabashedly yet innocently pursue inspiring levels of imagination, largely based on the excitement of experiencing a powerful story found in their favorite movie. We have all witnessed the delightful expression on a child’s face as they watch their favorite cartoon superhero or theatrical fairy tale. These moments provide an opportunity for families to sit together and enjoy the blooming of childhood imagination. Due to the very specific lighting scenario we wanted to achieve, the photographs featuring the children watching television in a dimly lit room were surprisingly challenging to capture. Everything from the color of the television glow to the expression on the children’s faces had to be perfect, so fortunately we collaborated with one of the best photographers in Los Angeles, the truly visionary Roman Cho. Cho and his team were able to set up the shots flawlessly while maintaining the sincere enthusiasm of the subjects.